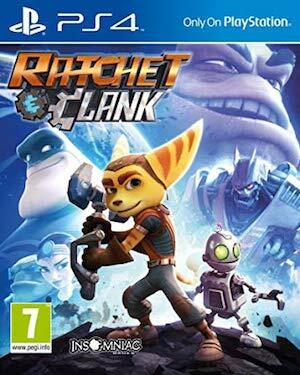 Ratchet and Clank is a platforming action-adventure title developed by Insomniac Games and published by Sony. 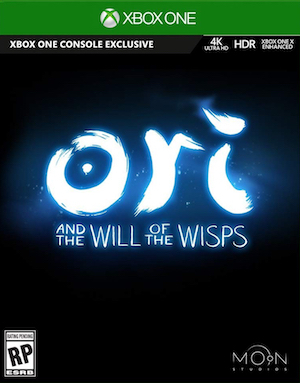 It is a re-imagining of the first game in the series, which came out on the PS2 in 2002. 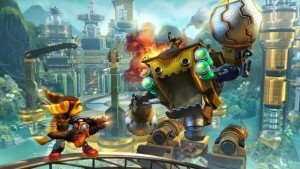 The lombax and his robot buddy might not yet be done with Sony's current console. The PS4 remake of the original PS2 game is Insomniac's most successful title ever. Sony also confirms no more free PS3/PS Vita titles from March 2019 onwards. The Lombax looks pretty good on PS4 Pro. 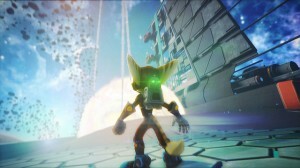 Insomniac thinks it looks better at 30FPS. PS4 Pro support expected on or before console's release. 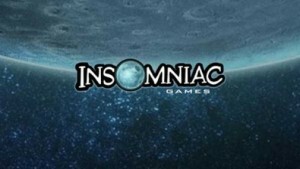 Insomniac shares a few more details on its upcoming open world game. Despite a fall in sales, the PS4 reimagining still reigns in the UK. 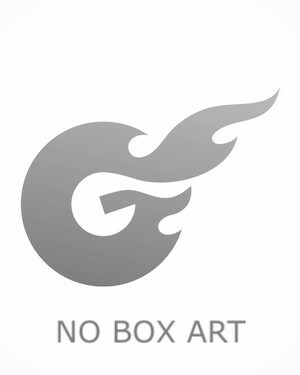 No sales numbers provided (yet). 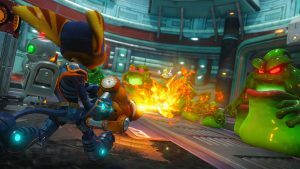 Star Fox Zero enters at sixth place. 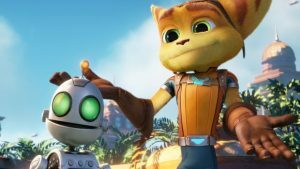 A complete guide for Ratchet and Clank. The Lombax and his faithful robot are back in amazing form. 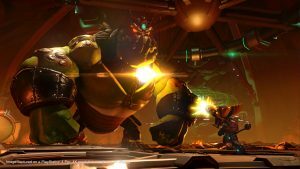 A complete video walkthrough of Ratchet And Clank. 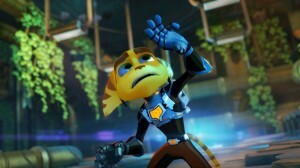 Ratchet and Clank make a convincing return on the PlayStation 4. That's if you don't complete everything though. Image proves that discs indeed exist. 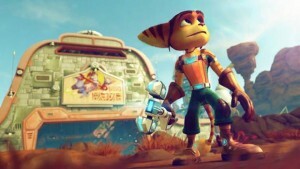 Will this be the best Ratchet and Clank game yet? 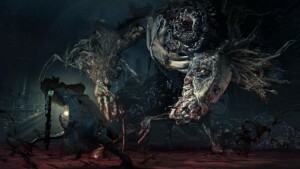 Check out the opening gameplay sequence from the PS4 remaster. 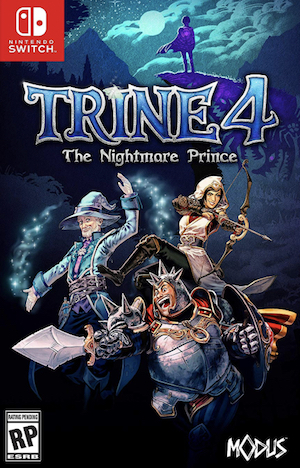 The game based on the movie based on the game. 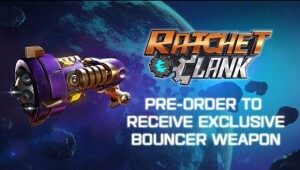 Everything you need to know about Ratchet & Clank PS4. 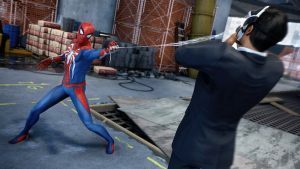 Insomniac explains just what the new game is all about. 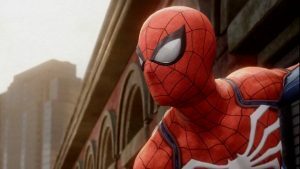 Insomniac confirms pricing and play time for upcoming "re-imagining". New worlds, weapons and adventures are going to be in this new game. Both, the game and the movie will be launching in 2016. No new updates as of now. Fur and Metal is making a come back! 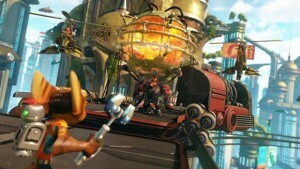 New sequences and gameplay features will help the original Ratchet and Clank stand out.